Writing is powerful. Writing helps us to communicate, persuade, reflect, and learn. Lucy Calkins, in a video created for the National Day of Writing in 2009, discussed the power of writing and the potential it has for fostering change. She provided a very heartwarming example when she told about a class of students who were inspired to throw a birthday party for a fellow student. This student had previously shared a piece of writing in which she described herself as the kind of kid who never had a birthday party. In her message to students, Lucy Calkins stated, “Writing can change the world. It can change your world, the world in your classroom. It can make the classroom into a place where you hear each other’s stories, you understand each other’s ideas, you care about each other’s passions, you join together in each other’s causes and what a world that will be.” There is no doubt that writing is a skill that students need for today and for their future. Writing is an important skill for students to learn, but also one of the most challenging. Writing is difficult for a variety of reasons. Many students are also reluctant to write. Without good writing instruction these students will continue to avoid writing. Teaching students about the power of writing is important, as is motivating and encouraging students to write. If students are to realize the power of writing they need to engage in the task. They need to see themselves as writers. One way to encourage and inspire writers is to share and discuss stories about writers. 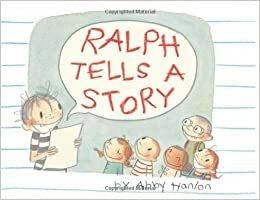 Three picture books that have the potential for inspiring writers are: Ralph Tells a Story by Abby Hanlon, Rufus the Writer by Elizabeth Bram, and Billy’s Booger: A Memoir (Sorta) by William Joyce. In this book, Ralph’s teacher always says that, “Stories are everywhere,” yet Ralph cannot write a story. Instead he stares at the floor, avoids writing by going to the water fountain, and begs a classmate for help. Ralph’s difficulties with writing are those that many students can relate to. The story has a happy ending when Ralph’s classmates help him write a story and he learns that stories really are everywhere. This is an excellent book to start a discussion about the struggles that writers face and how to work through them. The endpapers show books that Ralph has written since writing his first story. They are all related to ordinary, everyday topics (such as "When Milk Came Out of My Nose" and "My Bathroom Emergency") and could inspire students to discover their own stories. Rufus is looking up at the clouds one day when he thinks to himself, “I’m not going to have a lemonade stand this summer. I’m going to have a story stand.” Rufus’s friends visit his story stand and he writes them stories. Pages of the book also show the stories that Rufus has written. The friends enjoy reading their stories at the end of the book. This book would be useful to create enthusiasm for writing and inspire students to write stories for others. 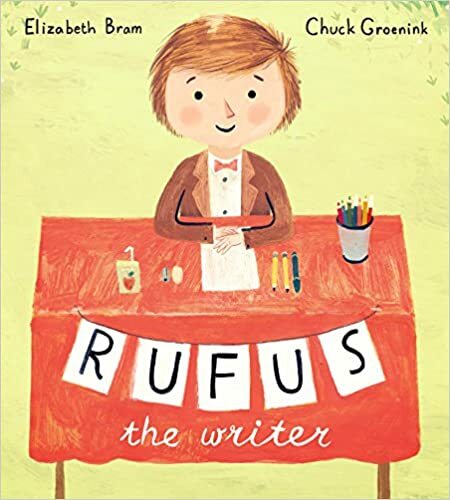 Rufus’s stories, which sound like the stories that young students may write themselves, can be a springboard for discussing imagination and creativity. This is Joyce’s true story about his younger self, Billy, who wrote his first book in fourth grade. Billy, a student whose creativity often causes him difficulty in school, is described as an odd boy by his teacher. When the librarian announces a writing contest, Billy writes a unique and imaginative story. 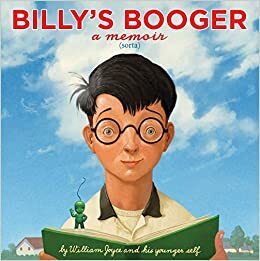 Billy's story, titled, “Billy’s Booger” is featured as a book within the book. Although Billy is at first disappointed that his story doesn’t win the contest, he is pleased that it becomes a favorite of his classmates. This is another book to spark students’ creativity and imagination. It can also lead to discussions about how one’s writing can be appreciated and enjoyed even though it may not be considered a conventional piece of writing. In addition, it may spark students’ ideas for writing their own memoirs. Students will definitely enjoy the humor in this book. These books can begin conversations about students' writing lives and hopefully will provide inspiration for students' own writing.